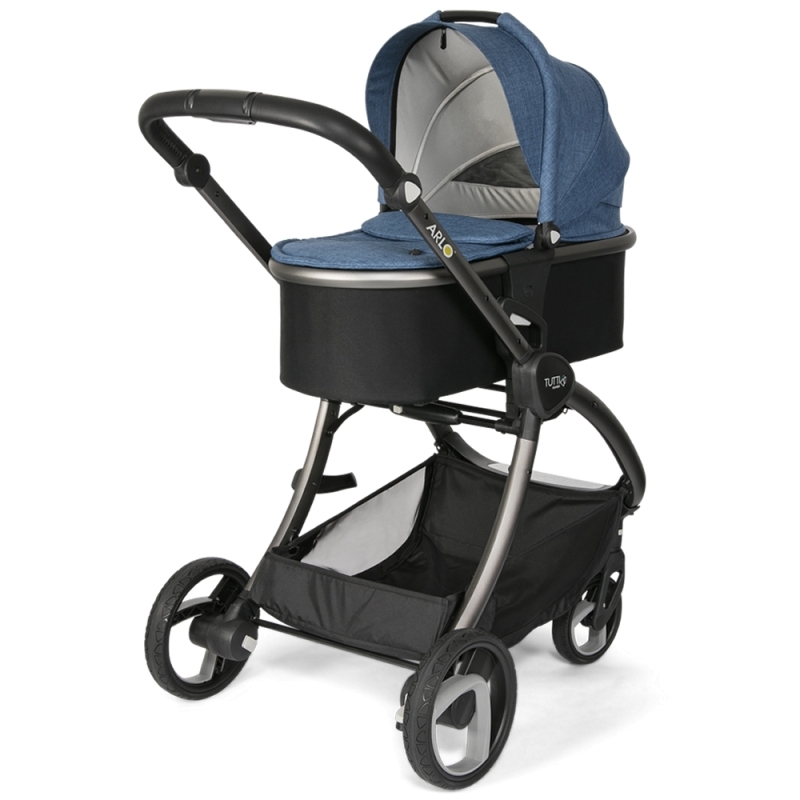 ARLO® features a lie flat seat which is suitable from birth, that can be used in street or parent facing modes. 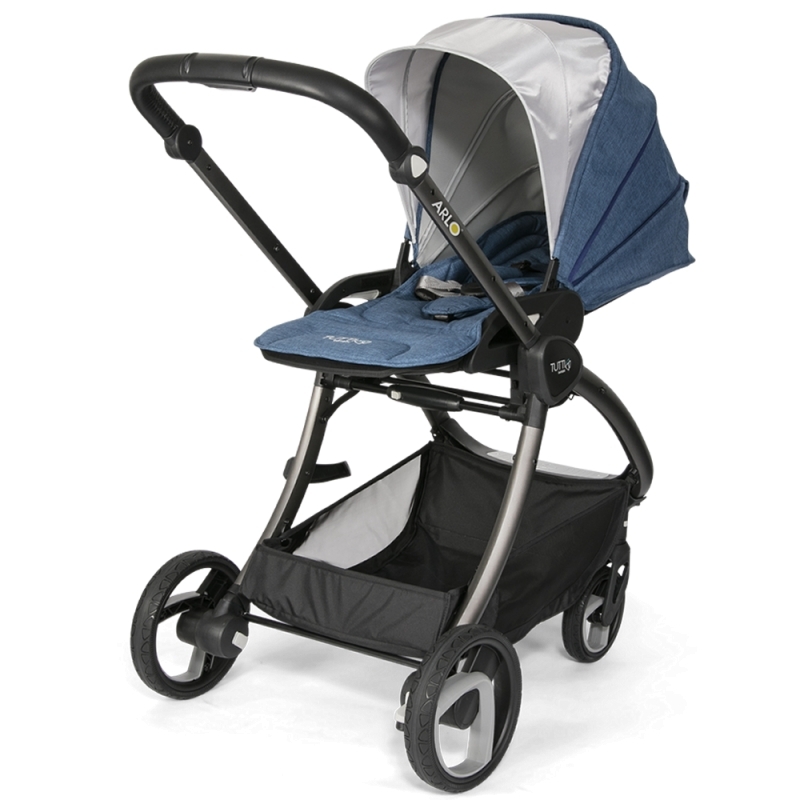 An optional carrycot is also available. 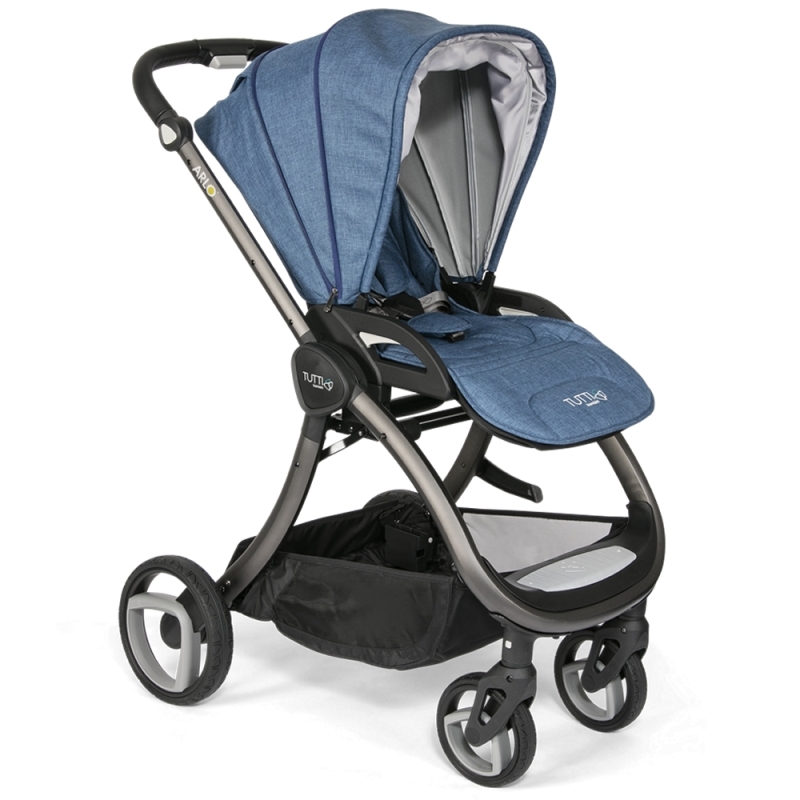 With smooth steering a suspension on all four wheels, this pushchair is easy to manoeuvre ensuring your little one experiences a smooth ride. 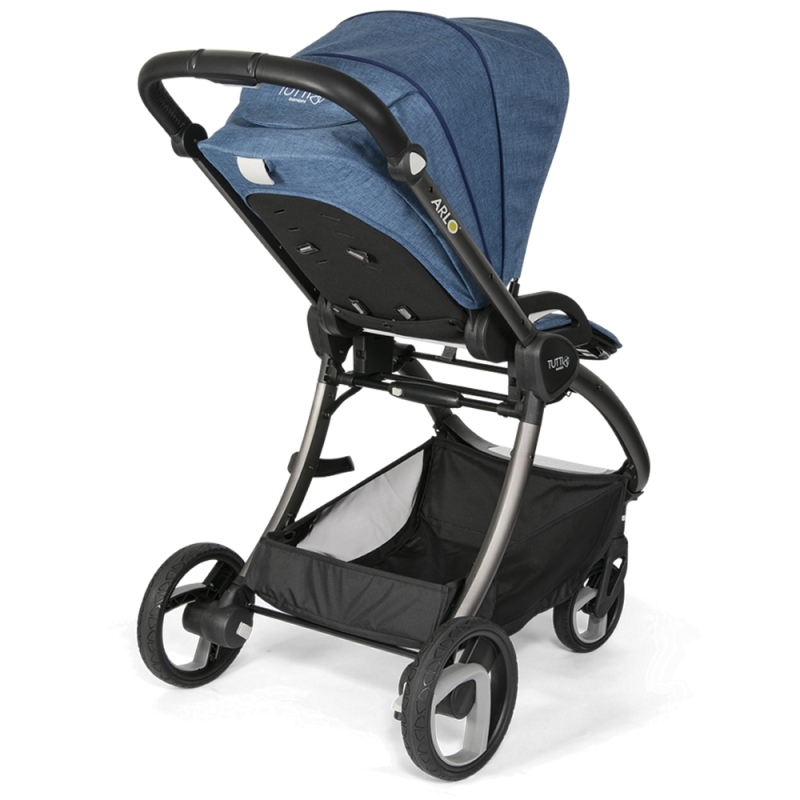 This Carrycot is suitable for the ARLO® stroller by Tutti Bambini. 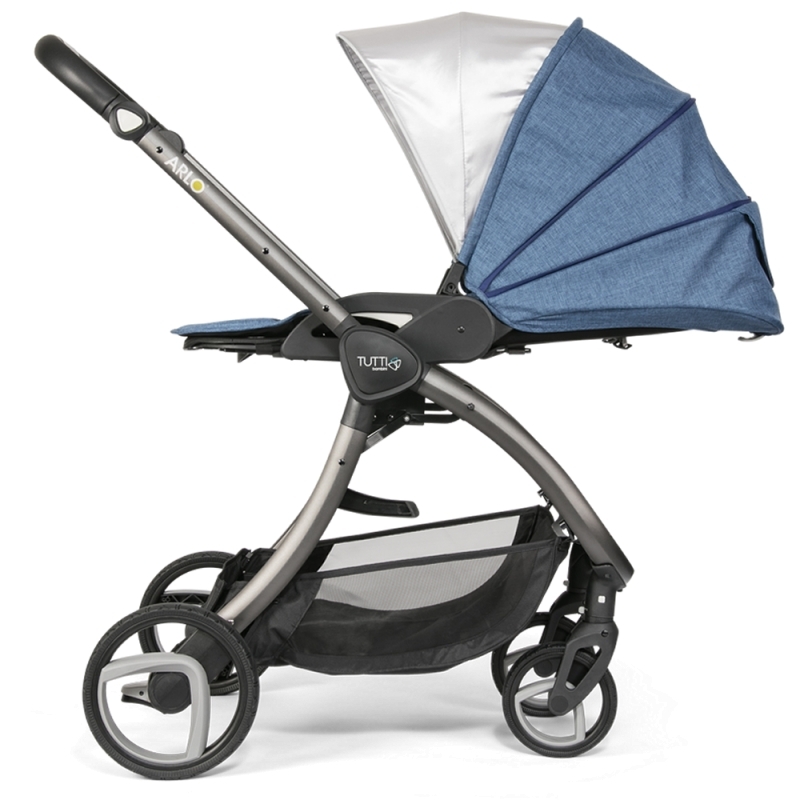 Although ARLO features a lie-flat seat unit which is suitable from birth, this optional carrycot provides a cosy and comfortable nest for your baby. 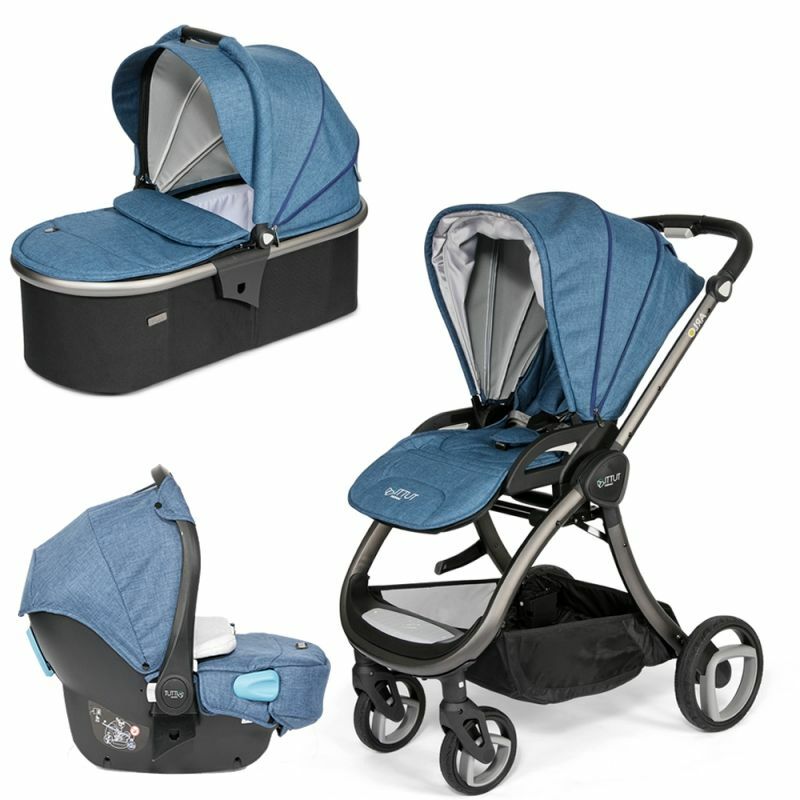 The carrycot, suitable from birth, comes complete with a comfortable mattress and washable lining, and can be folded flat when not in use. 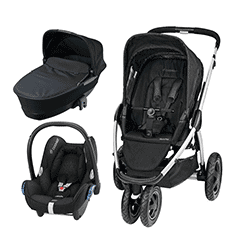 The Carrycot accessory pack is available in five different colour ways, allowing you full customisation of your Tutti Bambini pushchair to suit your style. 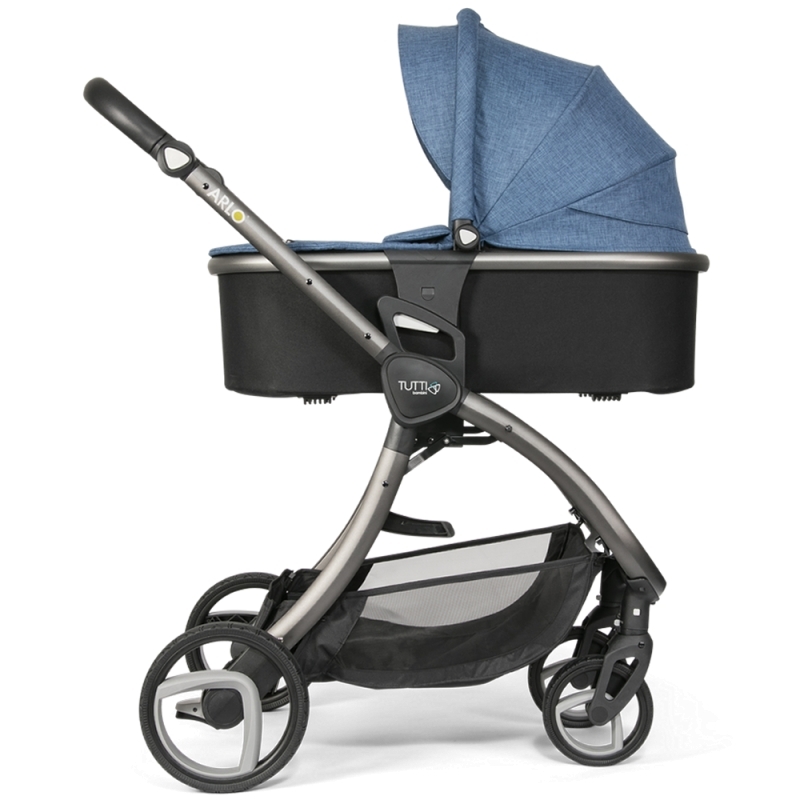 The accessory pack is made from a water and oil repellent melange fabric and includes a hood, which features an extendable panel which provides full cover from the sun wind and rain, and an apron which fits the top of the carrycot, providing warmth and cover to your little one nesting inside. 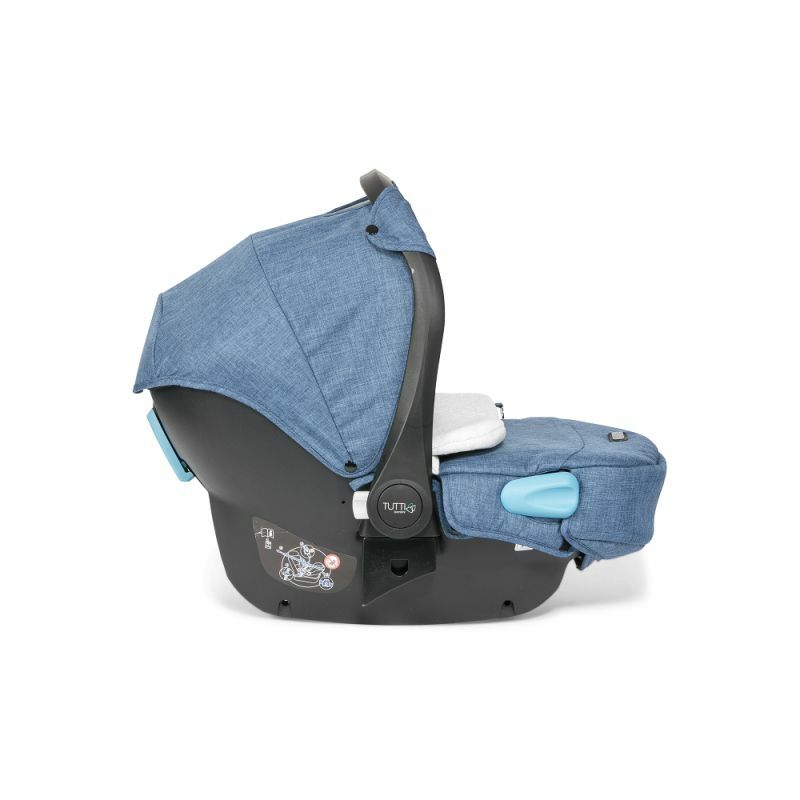 The hood also has a further extendable peek-a-boo sun visor, and a concealed mesh window with a magnetic flap so that you can check on your little one at all times. All of the car seat fabrics are machine washable, making it easy to clean off spills and stains. 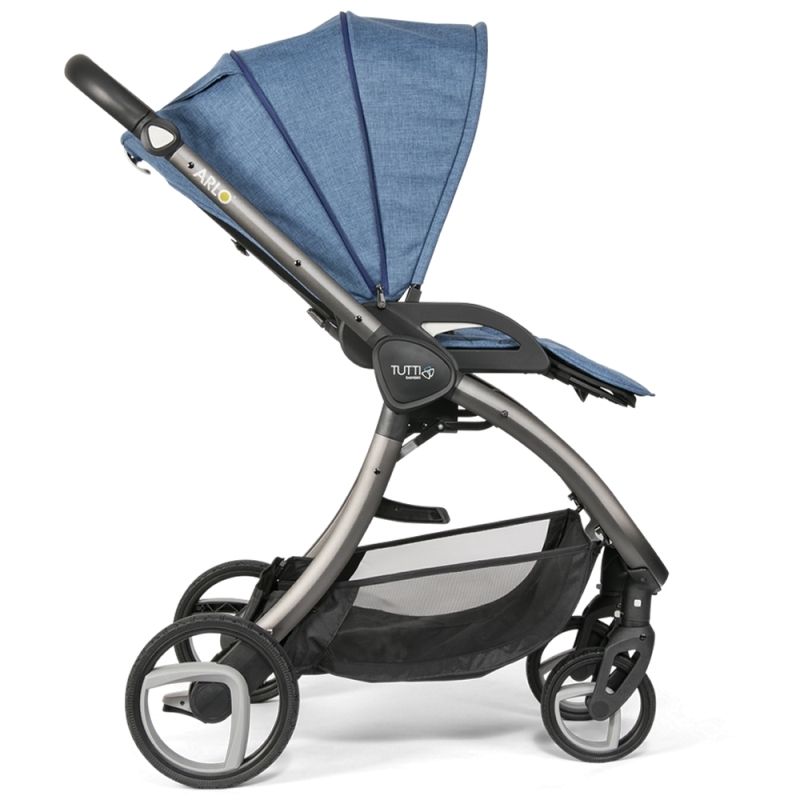 ByGo is available in five different colour ways, allowing you full customisation to suit your style. 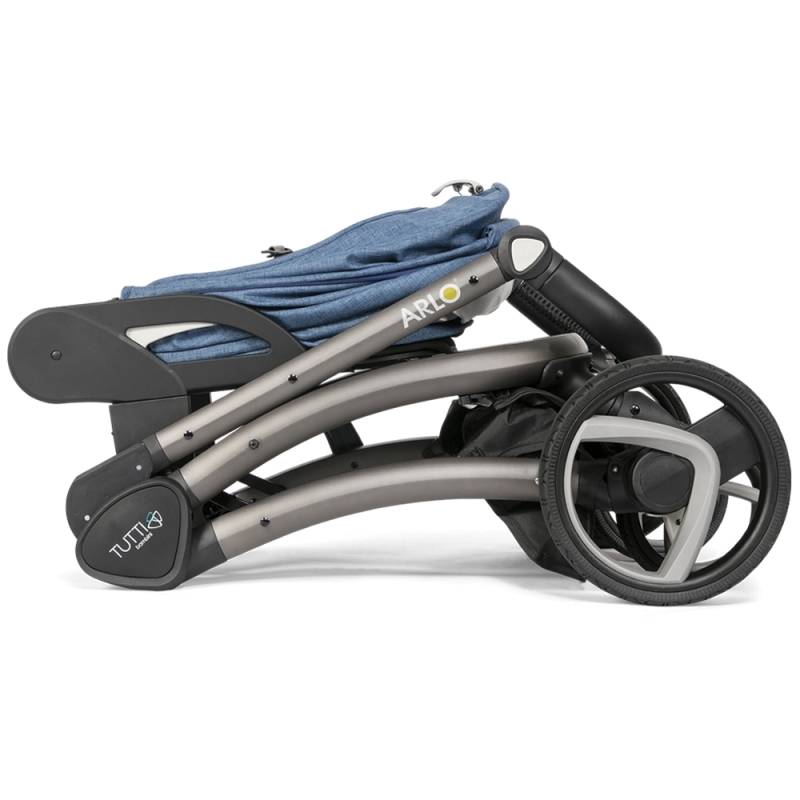 It combines perfectly with the ARLO® and KOJI® pushchairs by Tutti Bambini to create a fully functional travel system.